International Picture Posting Month (IntPiPoMo) is the picture equivalent of National Novel Writing Month (or NaNoWriMo). In reality it doesn’t have to be screenshots from WoW but images form any game or even an array of photographs you take of the real life world – it’s up to you. First off, you should participate! It’s lots of fun! 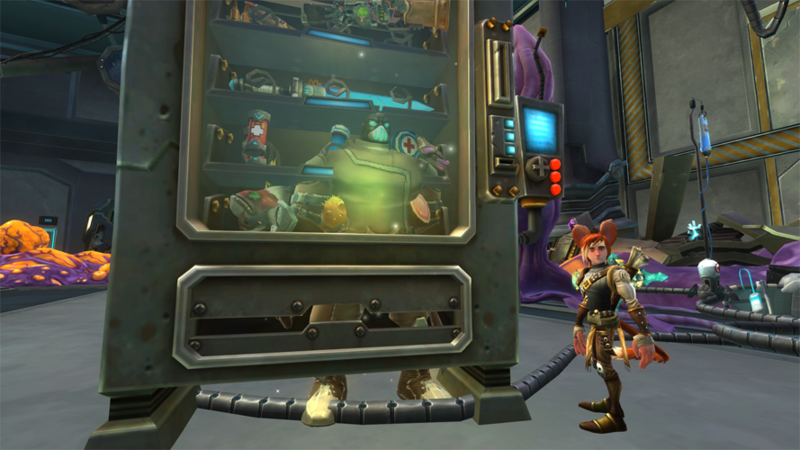 Second, I haven’t officially started a post about where I am with gaming and such as of late, but TL;DR, I’m playing WildStar (and will post more about it later :D). 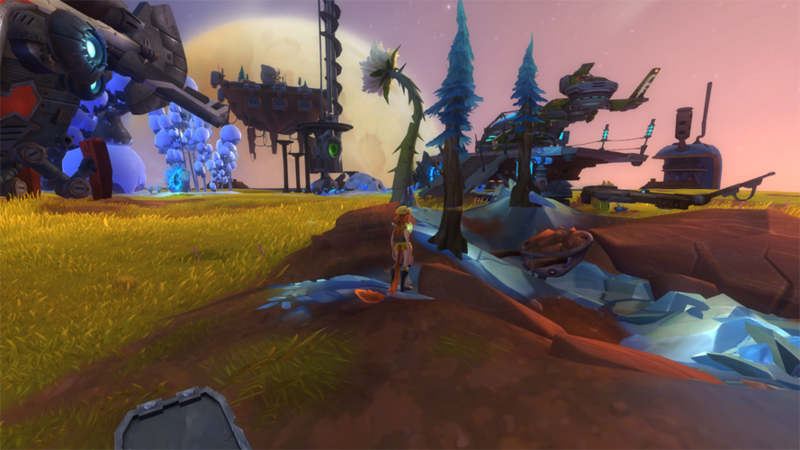 So my screenshots will mainly be of WildStar. And possibly a shot or two of another game as I’m playing it (I’m still waiting for Steam to put Skyrim on sale…). So, here’s days 1 through 5. This is a statue of Drusera (one of the main character of the first big story arc) found out in Blighthaven, if I recall correctly. It lights up with Eldan technology. 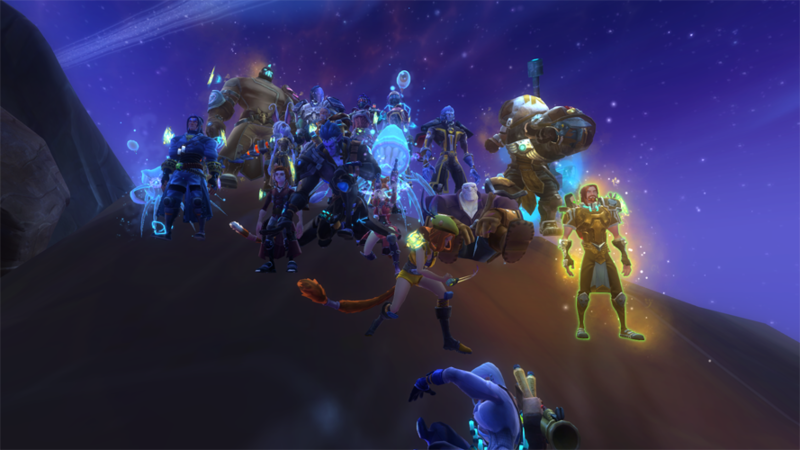 A silly “family photo” of some of the members of Black Dagger Society. On housing plots, you’re allowed to have a gathering plug. It just so happened that one of our guildie’s mining plugs was spawning trees (which are from the survivalist plug). The collision in the game can sometimes do funny things. Like let you inside of a vending machine that the Settler path can put down. Now, you can get a Chaide from your vending machine! Molu, however, seems very confused. This is our guild’s first Veteran Grond kill. 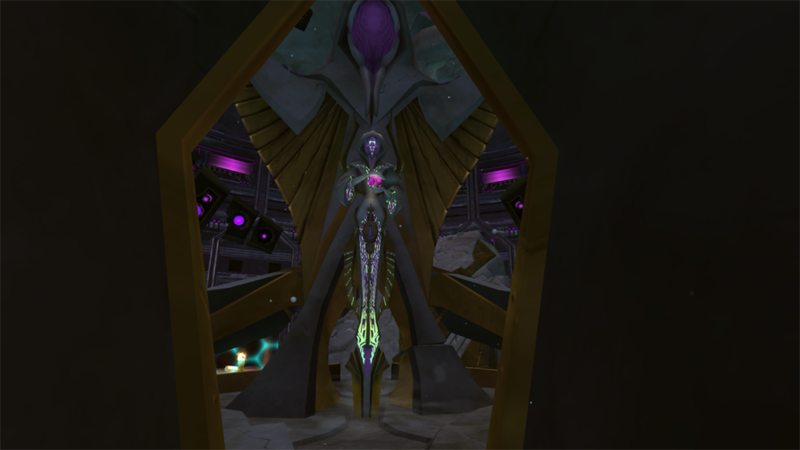 We’re not pushing progression, so we’re only just starting Veteran dungeons. 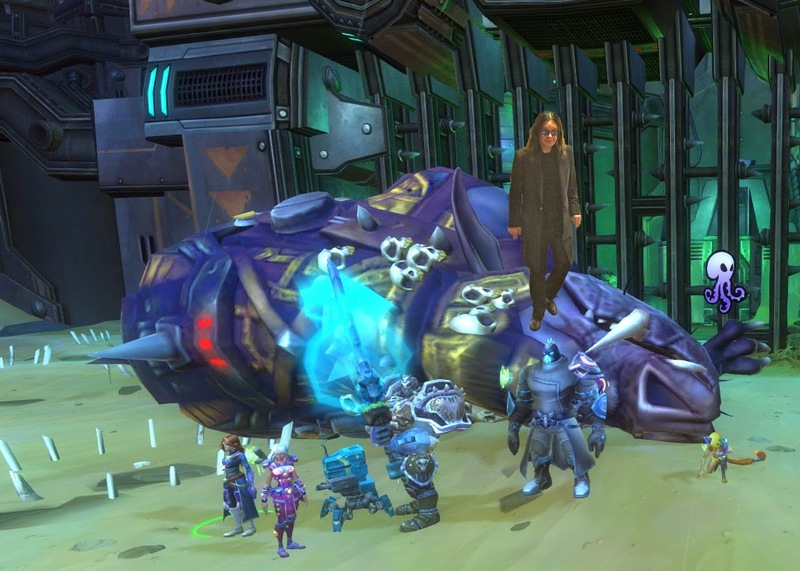 A guildie listening in to our fight commented that, “This totally reminds me of War Pigs! You need to add a cardboard cutout of Ozzy!”. Did you know it is nigh impossible to find an image of an Ozzy cardboard cutout? So I did the next best thing and “made” one. I think Ozzy will end up in most of our boss kill shots, now. And that is the start of IntPiPoMo for me! Expect a lot more posting. Some of them guides that I’ve been working on as I Achievement & Title Farm/level cooking (which is a terrible hobby to level the tech tree for), and some of them general musings. Thank you to IntPiPoMo for getting me back into the groove of blogging!